Since indulging in your mother’s brownies as a child, you’ve probably learned a lot about the not-so-healthy effects of sugar. But those delicious chewy brownies are probably still your favorite guilty pleasure. You can overlook the high butter content of these tasty treats for a moment of enjoyment. After all, you deserve it — right? Wrong. You deserve much better. The saturated fats in butter mean higher cholesterol, which can increase your risk of heart disease and stroke. In fact, a 2015 study determined that people who replace 5% of their saturated fats with polyunsaturated fats (good fats found in nuts, seeds, and fish) are at 25% less risk of heart disease. And those who replace the same percentage with monounsaturated fats (found in red meat, high fat fruit, and sunflower oil) can lower their risk of heart disease by 15%. Luckily, you can stay healthy and still say yes to your favorite sweet treat. Enjoy these tried-and-true butter alternatives for your next batch of brownies so you can have your cake (er, brownie) and eat it too. Avocado is not only delicious and versatile, but it has tons of health benefits. For every risk butter poses to your health, avocado offers a healing property. Avocado contains a large amount of potassium, which plays a direct role in your metabolism and muscle function. It can even help regulate your heartbeat. And the perks don’t stop there. The monounsaturated fats in avocado are made up mostly of oleic acids. Oleic acids are known to reduce inflammation, lower blood pressure, and are even being tested for use in cancer prevention. 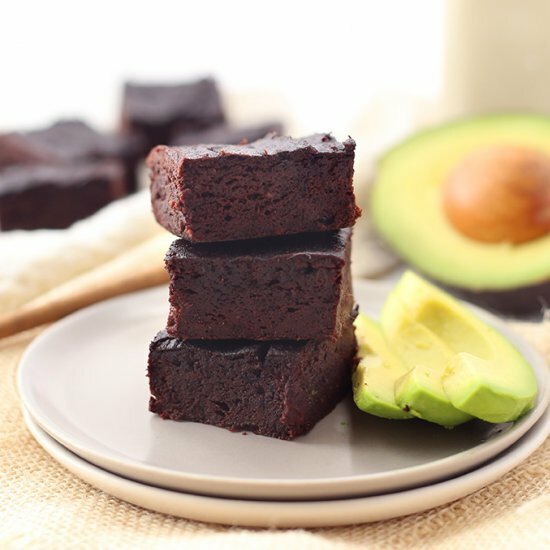 To use avocado as a butter replacement in a brownie, use the same measurement of avocado as the amount of butter called for in the recipe. If you’re looking for a fluffier brownie, use half the amount of avocado. Puree the avocado before adding it into the recipe. Fold it in the same way as you would butter — 1 avocado is usually about ¾ of a cup. Turns out that colt tasty snack in your fridge can be successfully incorporated into your brownie recipe, too. Greek, or strained yogurt, is packed with protein. And protein helps you build strong and healthy bones, muscles, skin, and hair. Speaking of strong bones, Greek yogurt is also rich with calcium. 1 cup of Greek yogurt contains almost 20% of your daily recommended calcium intake. And reaching your recommended calcium intake each day can significantly decrease your chance of Osteoporosis. 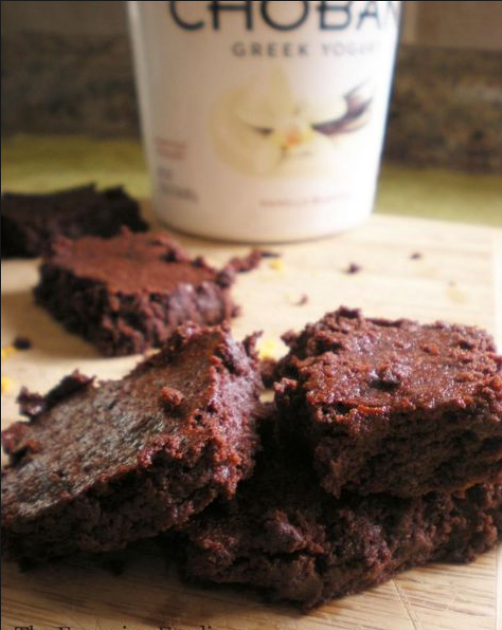 For soft, chewy brownies, substitute half the amount of butter or oil with yogurt. This will both reduce calories and make for a better texture. Applesauce is typically a family favorite due to its flavor alone. The many health perks of applesauce are an added bonus. Applesauce contains a special blend of pythochemicals, or plant compounds, that can lower your risk of asthma, Alzheimer’s, cancer and more. Applesauce is also rich in vitamin C, which not only comes in handy for cold prevention but also helps protect you from heart disease, eye disease, and wrinkles. While it’s typically recommended to use half the amount of applesauce as the amount of butter that’s called for, this measurement works better for cakes than brownies. 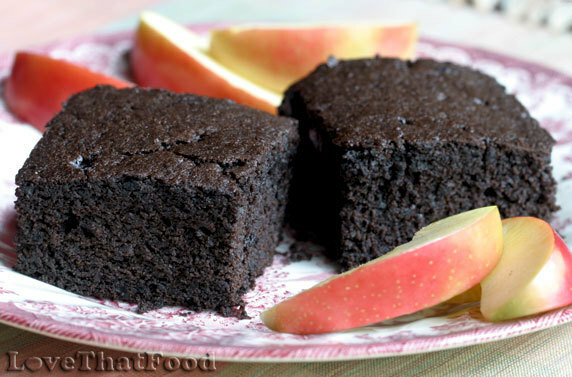 For brownies, use at least an equal amount of applesauce as butter you’re replacing to keep the brownie batter chewy. There’s quite a buzz going around about the health benefits of coconut oil — and for good reason. Combined with its mild yet rich flavor and smooth consistency, coconut oil makes for a great replacement for butter in brownies. 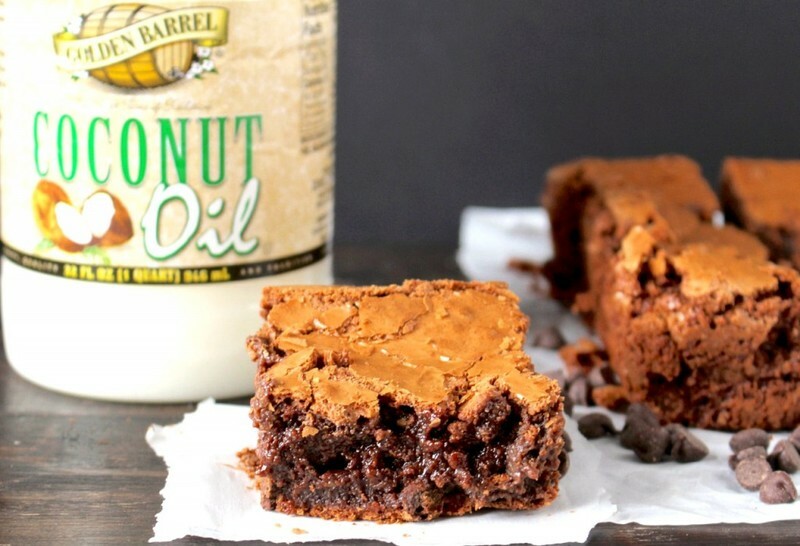 Due to how slow the fatty acids in coconut oil are metabolized, this healthy oil has been used successfully as an appetite suppressant, which means no fear of a brownie binge. Need more convincing? According to Dr. Mary T. Newport, author of Alzheimer’s Disease: What if There Was a Cure? The Story of Ketones, coconut oil was a key component to improving his disease. Alzheimer’s can be caused by an insulin problem that prevents brain cells from accepting glucose, which is crucial to the cells living. The only alternative to glucose is ketones, or the byproduct remaining in your body after it has burned fat and carbohydrate levels are low. Ketone bodies happen to be present in coconut oil. To bake with coconut oil, use an equal amount of coconut oil as you would butter at the same temperature the recipe calls for (melted butter means melted coconut oil). Feel free to add a pinch of salt to replace the salt that would have been present if you used butter. Coconut oil and butter heat at a similar rate, so no need to adjust baking time. If you’ve been suffering from any stomach issues lately, bananas are a great go-to butter alternative. Banana’s high fiber content helps regulate your digestion. They’re also high in antioxidants, which protect the body from harmful pollutants found in foods or certain medications. The high potassium levels in bananas make them a good tool for kidney health, too. A Swedish study revealed women who ate 2-3 bananas per week were 33% less likely to develop a kidney disease. To replace butter with banana, first puree the banana. When mixing, start with half the amount of banana as the butter you’re replacing, then add a tablespoon at a time until the mix reaches creamy consistency. 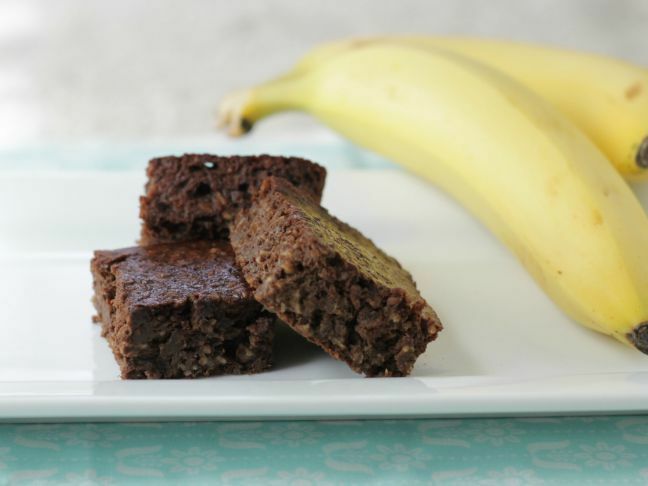 Since bananas are sweeter than butter, you can get away with a bit less sugar in the recipe. A lot of fat is being cut out as well, so use half the amount of eggs, or egg whites only to prevent the batter from drying out.